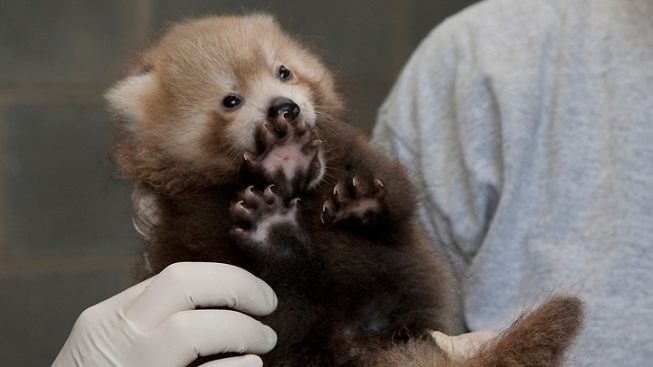 We may not have a Butterstick II to coo over this year, but there is a red panda baby boom at the National Zoo this summer. Two two healthy cubs were born at the Smithsonian Conservation Biology Institute in Front Royal, Va., on June 5. Then, two more cubs were born to another mom at the National Zoo on June 17. The red panda exhibit is currently closed while the red panda moms bond with and care for their young. Zoo staff have been conducting health checks and weighing the cubs periodically to insure their well-being. The zoo said that all four cubs seem healthy and are at a good weight.